Upper Marlboro, MD – (See: Registration & Schedule) Telesis Systems, Inc. has launched a multi-state Small Unmanned Aerial Systems (sUAS) Training Program for Public Safety and Emergency Management Professionals. 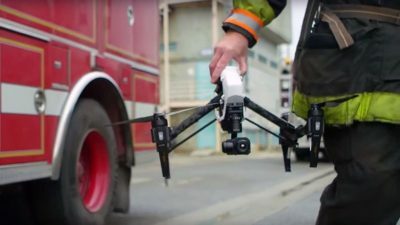 The course will educate and train first responders on the legal use of (sUAS) Drones and how to obtain a Certificate of Authorization (COA) from FAA for special use. The Four (4) Day hands-on comprehensive class is specifically designed for public safety professionals, such as Law Enforcement, Fire Fighters, Emergency Management and anyone working in a First Responder capacity. In addition, the course will prepare students for the FAA Remote Pilot Certification Exam. (sUAS) Drone hands-on operation and flight are taught throughout the course. This new and emerging technology will become a critical tool for first responders. The (sUAS) technology will help save lives, time and cost. Note: Public Safety organizations, with eight (8) or more students in attendance, can request this course be scheduled and taught a their provided and suitable facility. Please contact us for more information.